The Book Wall Part II: The Book Wall Returns - Salt Pump Climbing Co.
It’s getting into winter now, which means it’s time to forget about those cold, snow-covered rocks, and start training for the Spring! To help you with this, we’ve reinstalled The Book Wall on the 50º board. This will stay up for at least two months. Make up your own problems and put ‘em in the books, that way they can be shared amongst the entire Salt Pump community. We are going to have three books: easy V0 - V2, medium V3 - V5, and hard V6+ - to make it easy for everyone to find exactly what they’re looking for. The grading used will be in line with our new coloured circuit system. 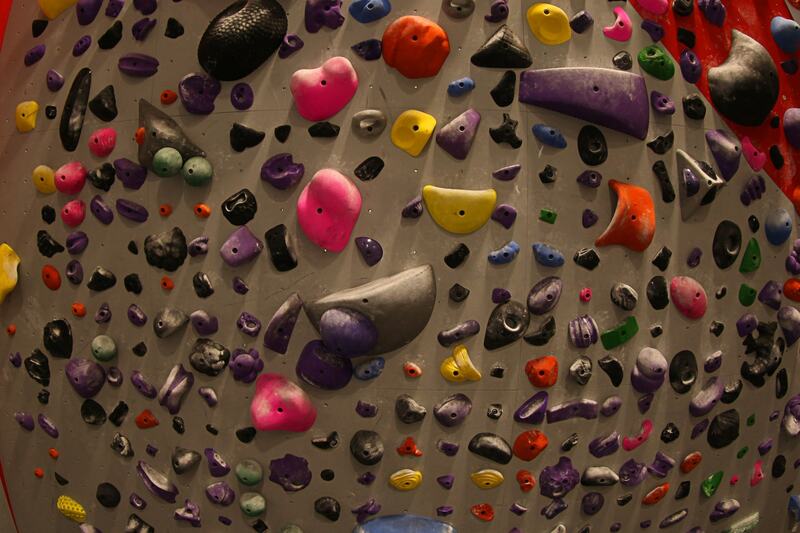 Within the books, there will be an opportunity for you to log your ascents and add feedback to each boulder problem. For those of you not sure how to incorporate the book wall into your training, we will be introducing a number of session outlines, which you can use to work anything from single move power to sport climbing endurance. Problems 3-4: may take 1-3 goes but trying hard. Problems 5-6: you may just complete, get close to doing, or do in two halves. Problems 7-8: Projects. Focus on working individual moves or sections. Aim to include a decent amount of different moves, hold types, and styles. You can also use this session as an opportunity to replicate moves from projects outdoors. At the end of your session, return to your warm up boulders (1-4) and attempt to repeat these. If you’re feeling like a challenge, you can try this with ankle weights on. Start with a light weight and as you get more comfortable increase the amount or do more difficult problems. Don’t forget to warm down, stretch, and give yourself a pat on the back. We will have number of pre-set boulders in the books, but please don’t hesitate to add your own! Check out the Instagram Story Highlight at @saltpumpclimbing for some book wall inspiration!